Because we all have those days. Admit it. How many times have you been late for work because you couldn't find anything you wanted to wear? We've all been there and we've all said the same thing while frantically browsing our closets: "I have nothing to wear!" We'll let you in on a secret. For days like those, we've come to rely on trusty formulas that don't even take 5 minutes to put together. Here are 3 ways to shop your closet—all inspired by Sfera's Fall 2015 line. Let's look at what we have from the luxe brand from Spain, shall we? Denim shirts have been going strong since it re-emerged in the 2010s. By now, it's a closet staple. 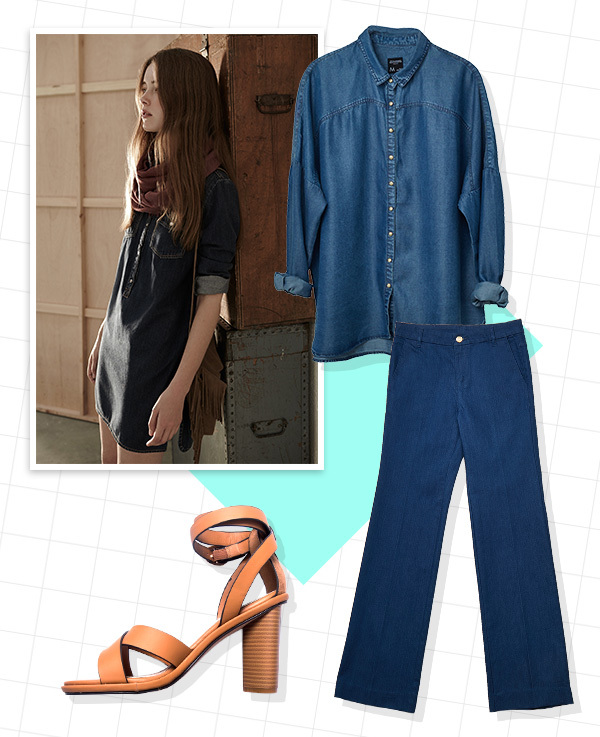 When you're pressed for time, the Canadian tux is a no-brainer! You can even do your own variation of it with a jacket and skirt just like we did here. Pair it with a chunky heel for a touch of class and comfort. Need a little something more put together? Go monotone. A mustard shade in a lush fabric like corduroy or velvet is an easy way to get that 70s vibe without looking like you came from That '70s Show. Pussybow optional. Bipolar weather got you confused? This might do the trick. Opt for an oversize kimono in a heavy jacquard fabric and wear it as a kaftan top. Take a belt to cinch it at the waist and to secure it from any mishaps. That way you won't have to worry about looking too summery in the rain, but you also won't feel too hot with a cardigan on. 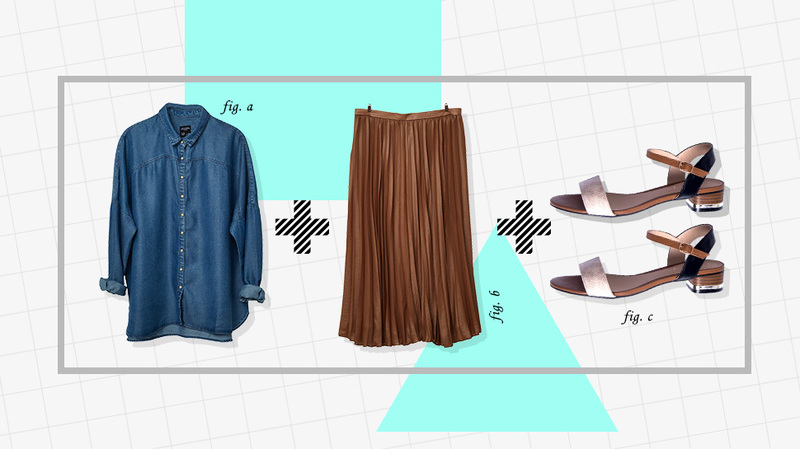 Looking to build your closet of trendy staples? Shop all these pieces from Sfera at 2/F SM Makati. For more style staple inspo, check out Sfera's Facebook page and follow them on Instagram. This article was created by Summit StoryLabs in partnership with Sfera Philippines.